Signal Transduction: Dopamine Signaling. 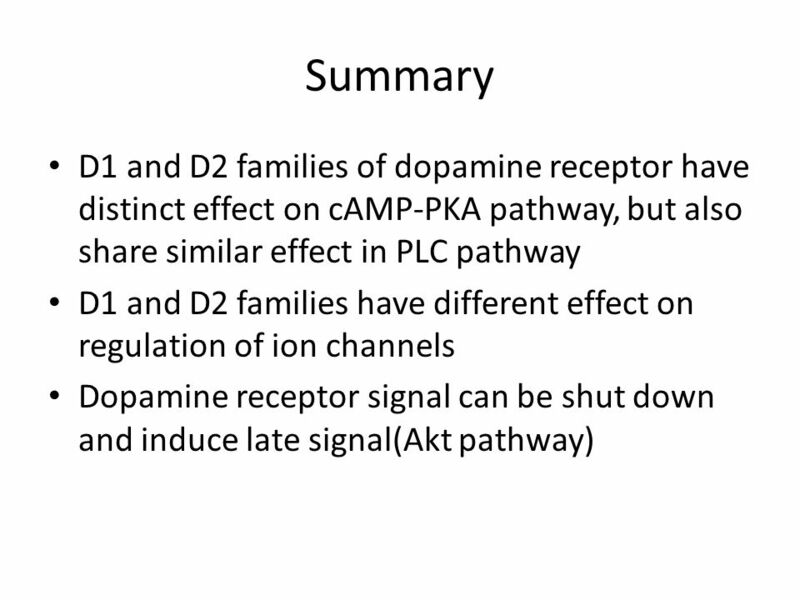 Outline Dopamine and dopamine receptors cAMP-PKA pathway PLC pathway Regulation of ion channel by dopamine Early. 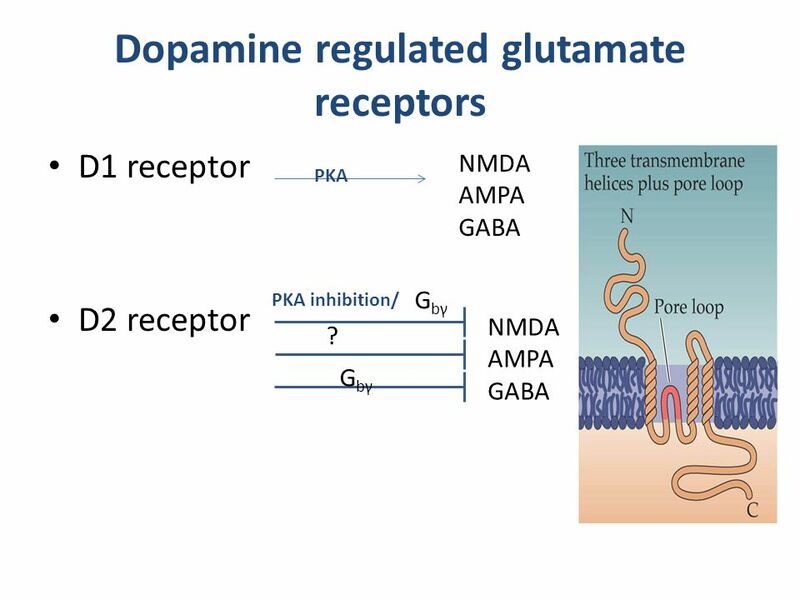 30 Dopamine regulated glutamate receptors D1 receptor D2 receptor NMDA AMPA GABA PKA inhibition/ NMDA AMPA GABA PKA G bγ ? 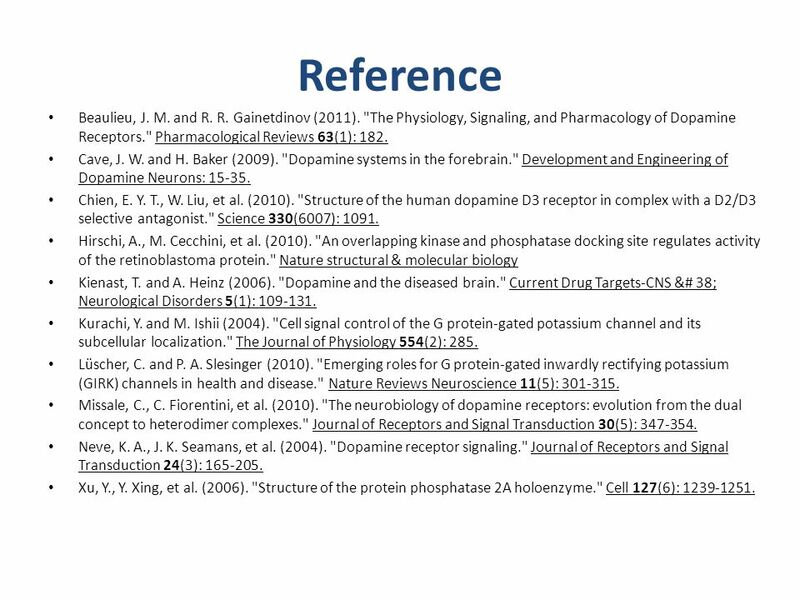 40 Reference Beaulieu, J. M. and R. R. Gainetdinov (2011). 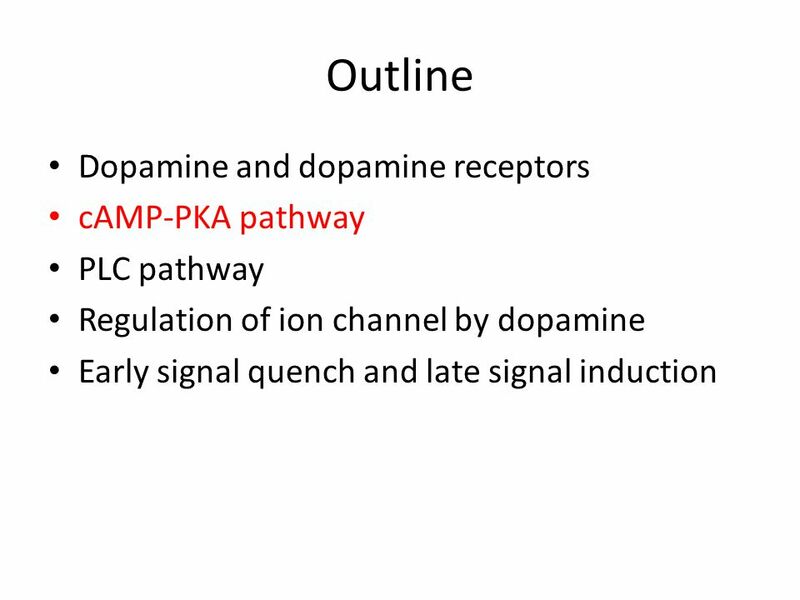 "The Physiology, Signaling, and Pharmacology of Dopamine Receptors." 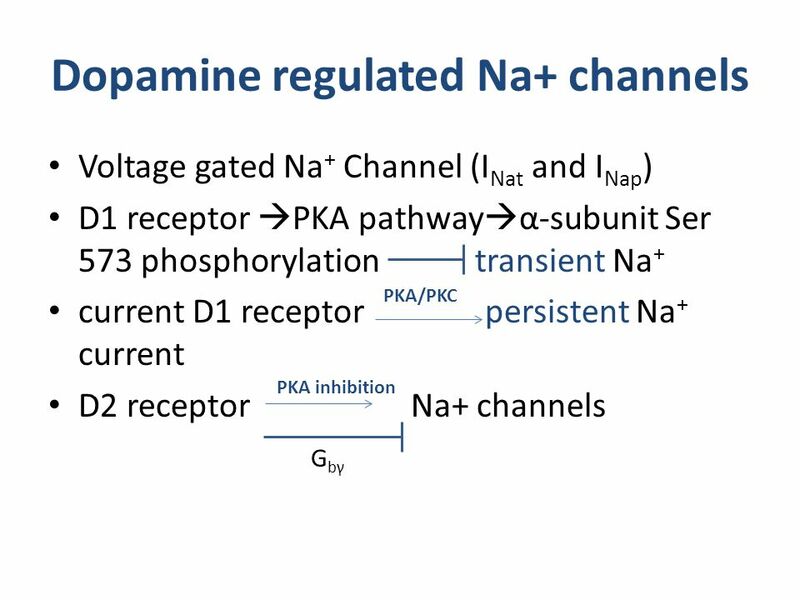 Pharmacological Reviews 63(1): 182. Cave, J. W. and H. Baker (2009). 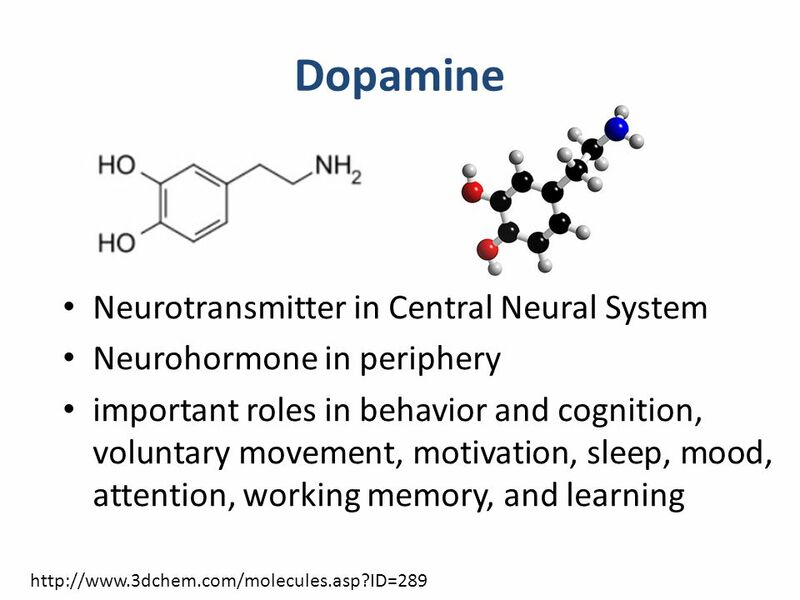 "Dopamine systems in the forebrain." 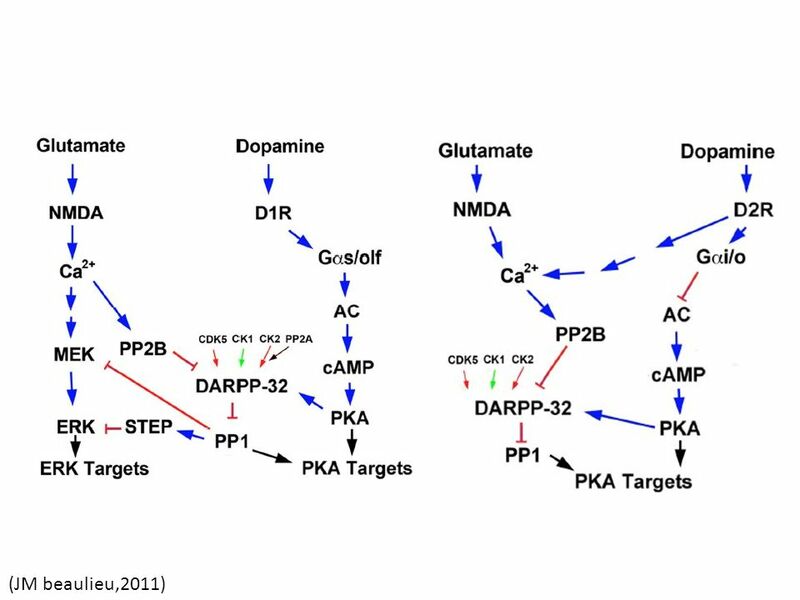 Development and Engineering of Dopamine Neurons: 15-35. Chien, E. Y. T., W. Liu, et al. (2010). 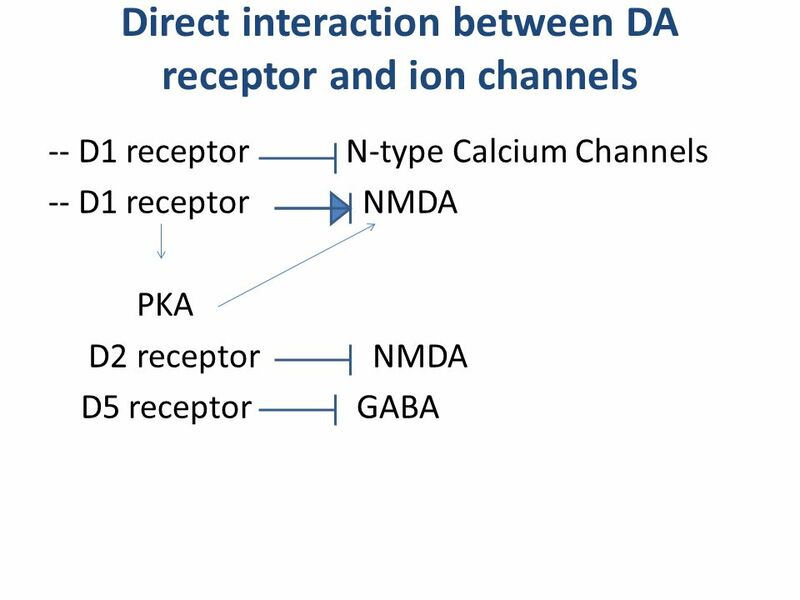 "Structure of the human dopamine D3 receptor in complex with a D2/D3 selective antagonist." Science 330(6007): 1091. 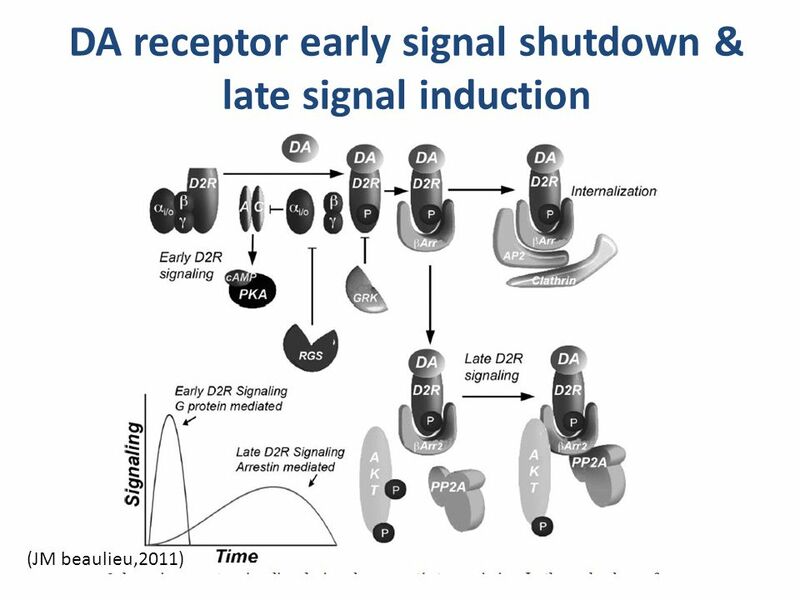 Hirschi, A., M. Cecchini, et al. (2010). 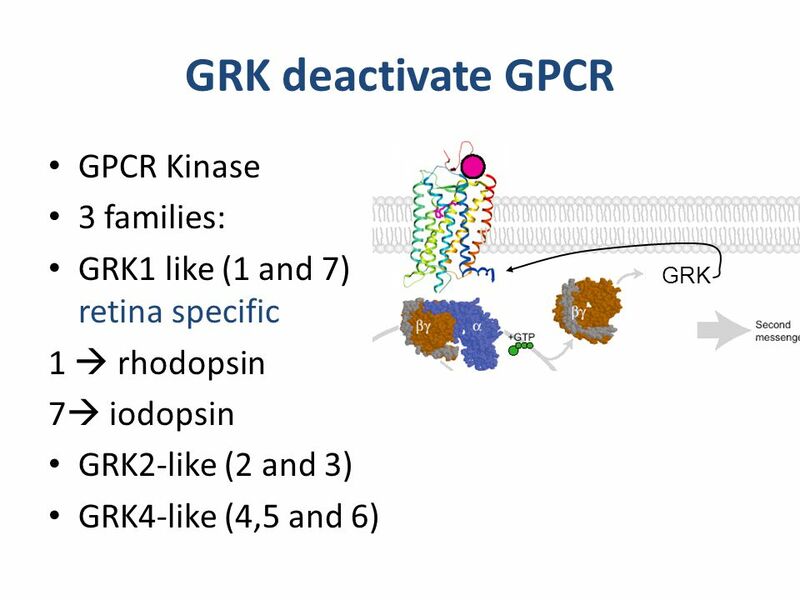 "An overlapping kinase and phosphatase docking site regulates activity of the retinoblastoma protein." 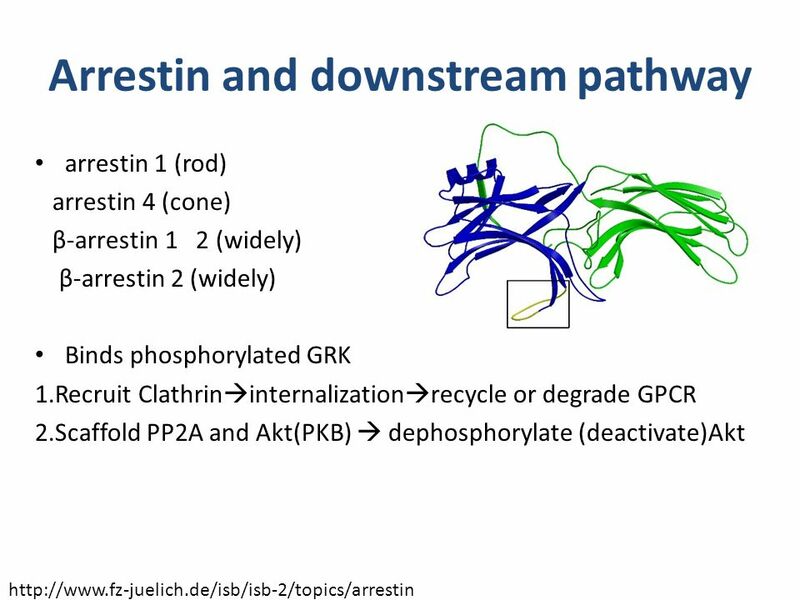 Nature structural & molecular biology Kienast, T. and A. Heinz (2006). 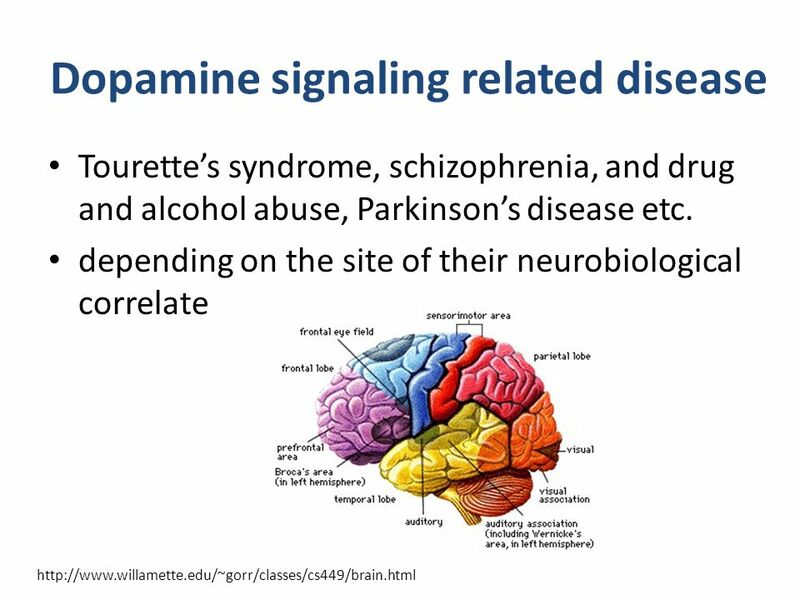 "Dopamine and the diseased brain." 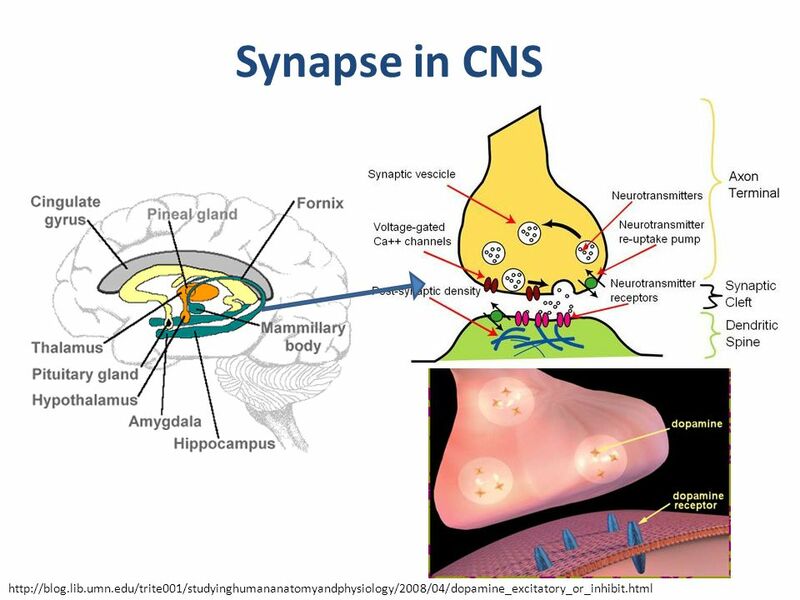 Current Drug Targets-CNS &# 38; Neurological Disorders 5(1): 109-131. Kurachi, Y. and M. Ishii (2004). 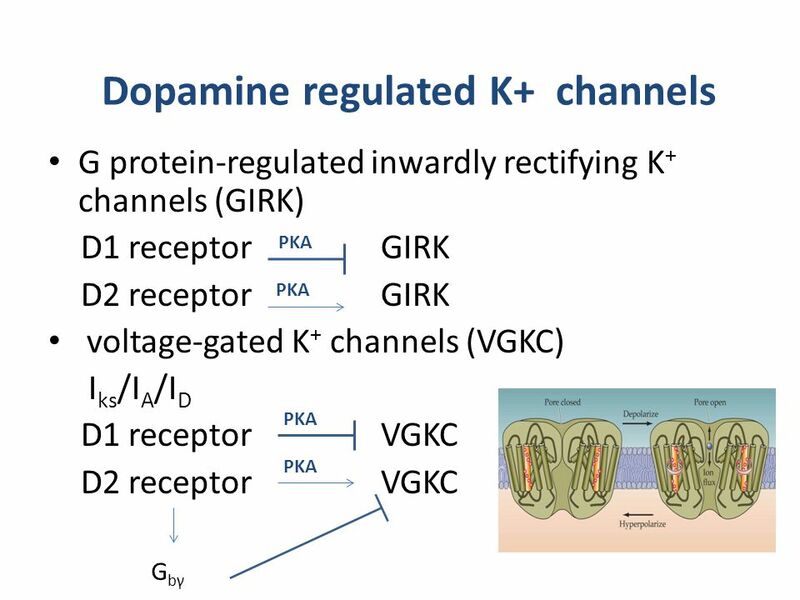 "Cell signal control of the G protein-gated potassium channel and its subcellular localization." The Journal of Physiology 554(2): 285. 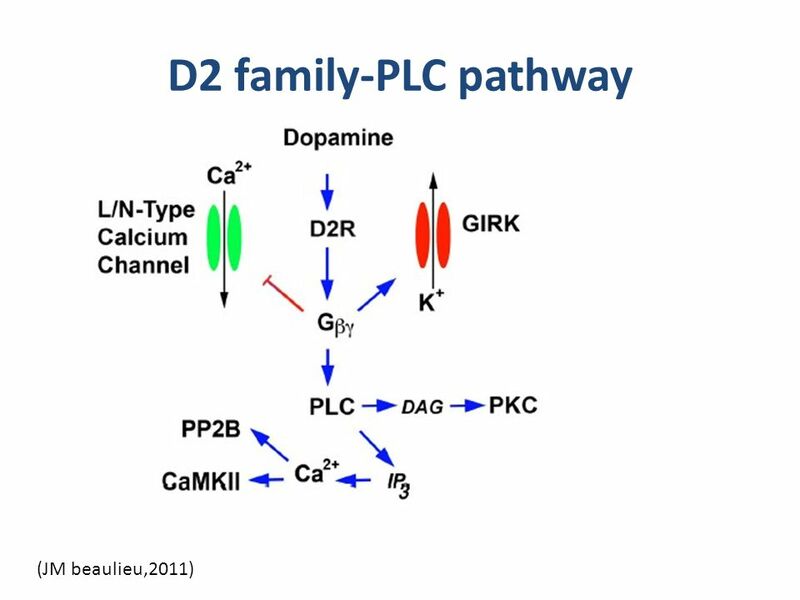 Lüscher, C. and P. A. Slesinger (2010). 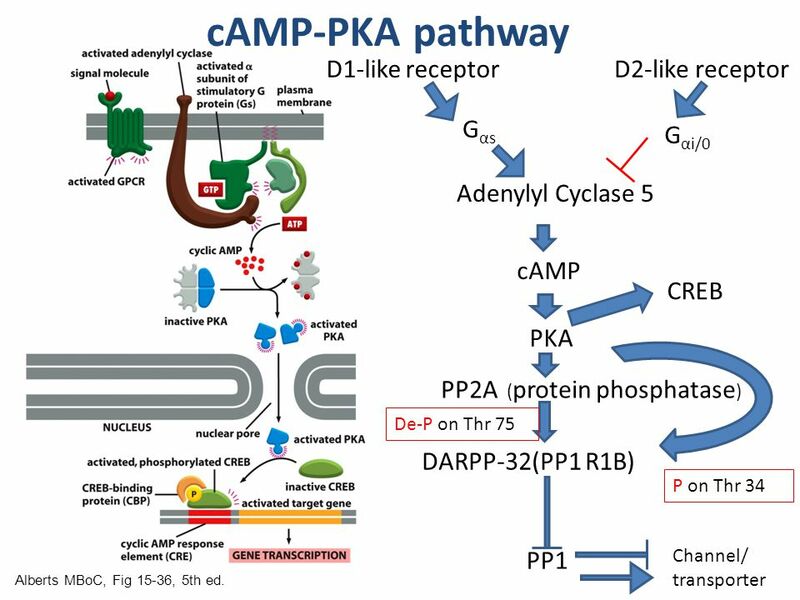 "Emerging roles for G protein-gated inwardly rectifying potassium (GIRK) channels in health and disease." 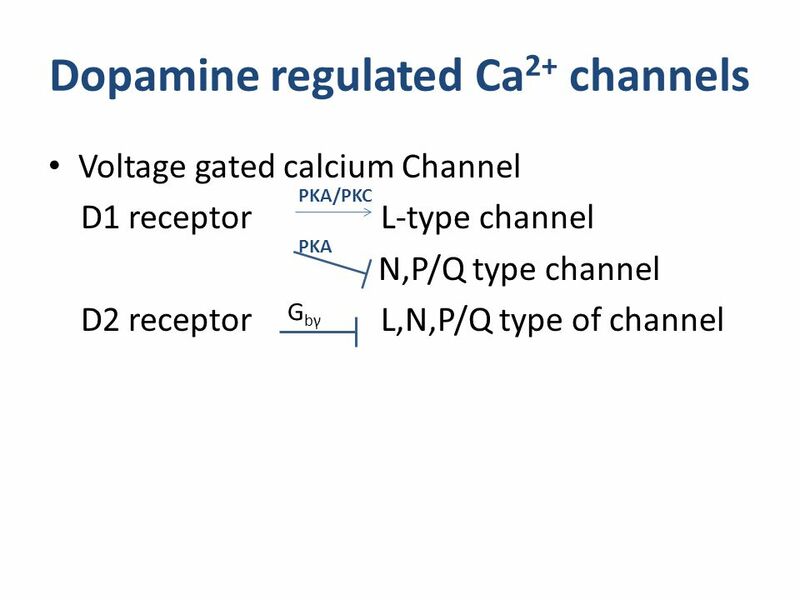 Nature Reviews Neuroscience 11(5): 301-315. Missale, C., C. Fiorentini, et al. (2010). 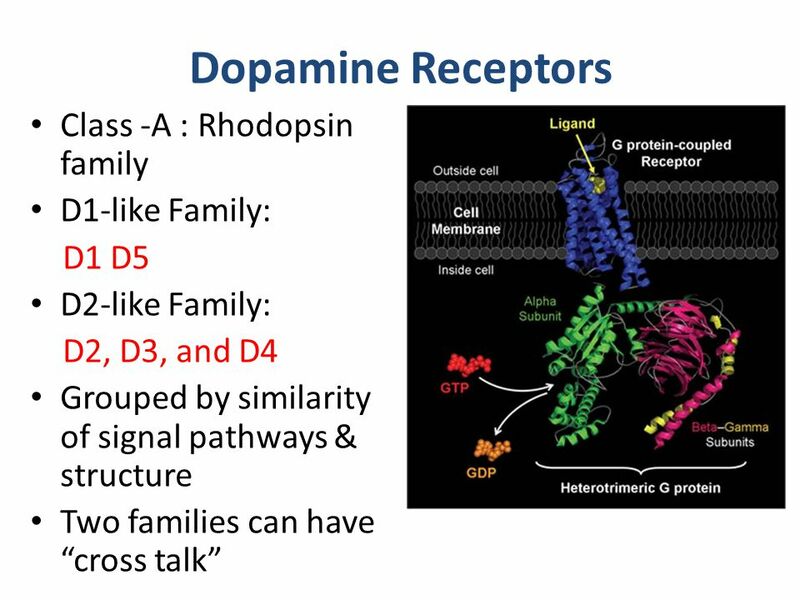 "The neurobiology of dopamine receptors: evolution from the dual concept to heterodimer complexes." 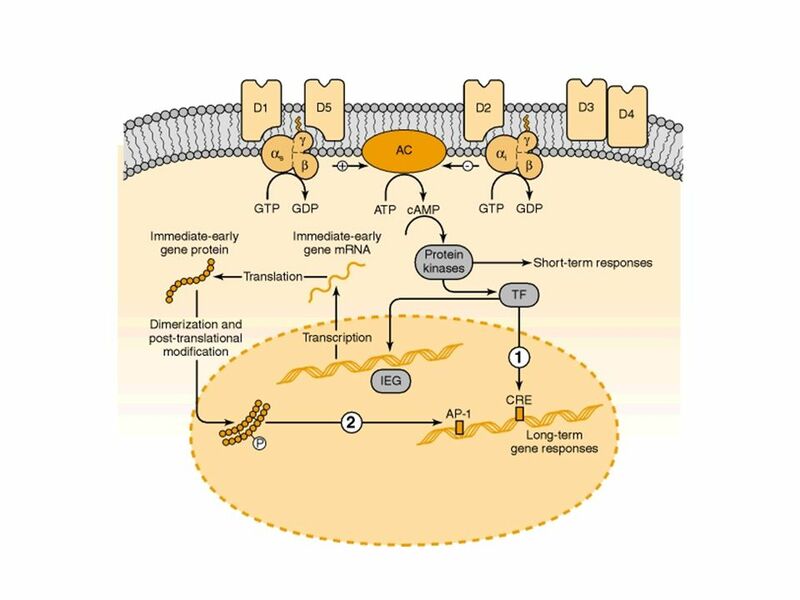 Journal of Receptors and Signal Transduction 30(5): 347-354. Neve, K. A., J. K. Seamans, et al. (2004). 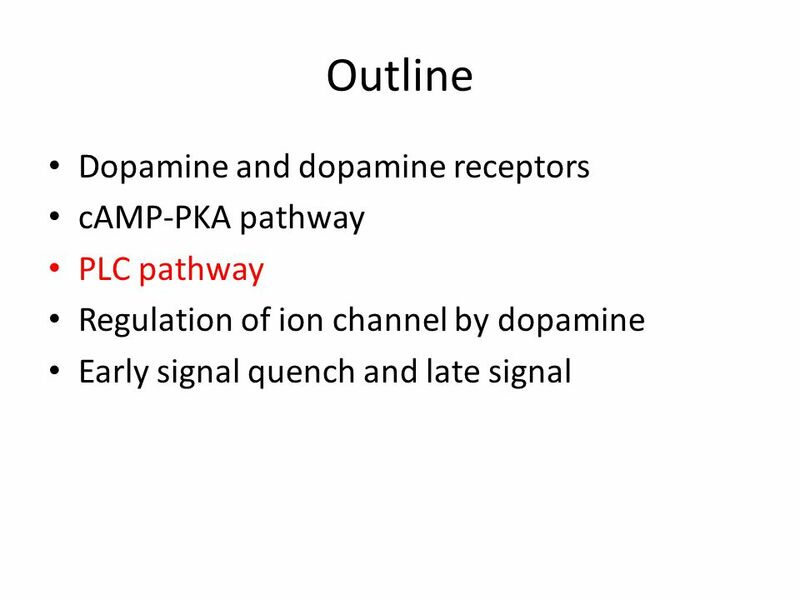 "Dopamine receptor signaling." 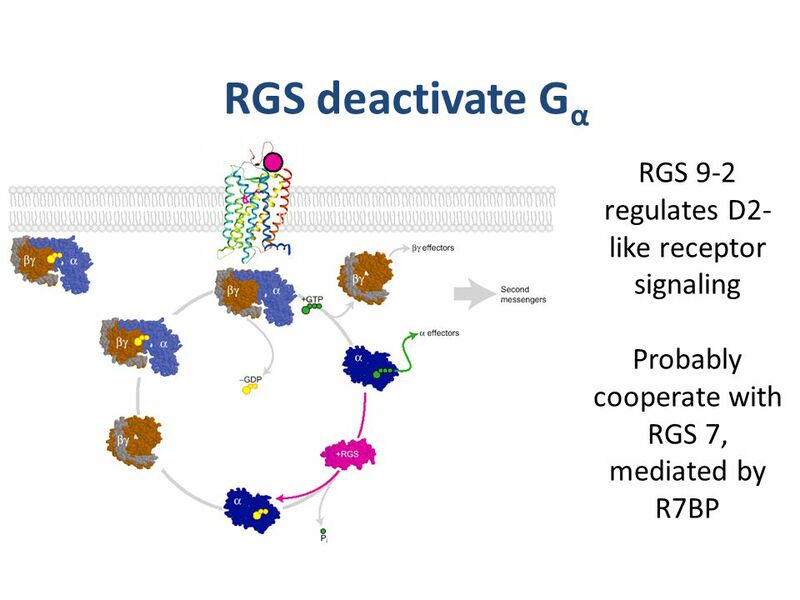 Journal of Receptors and Signal Transduction 24(3): 165-205. Xu, Y., Y. Xing, et al. (2006). 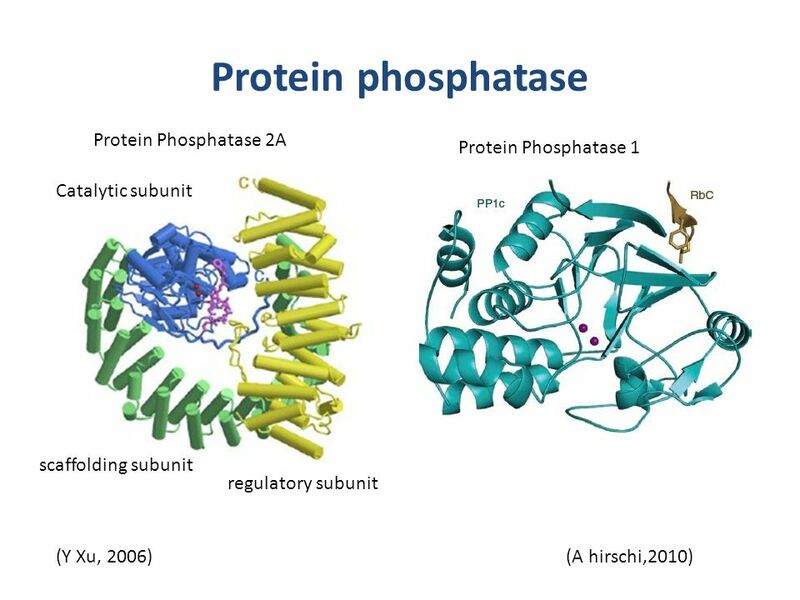 "Structure of the protein phosphatase 2A holoenzyme." Cell 127(6): 1239-1251. 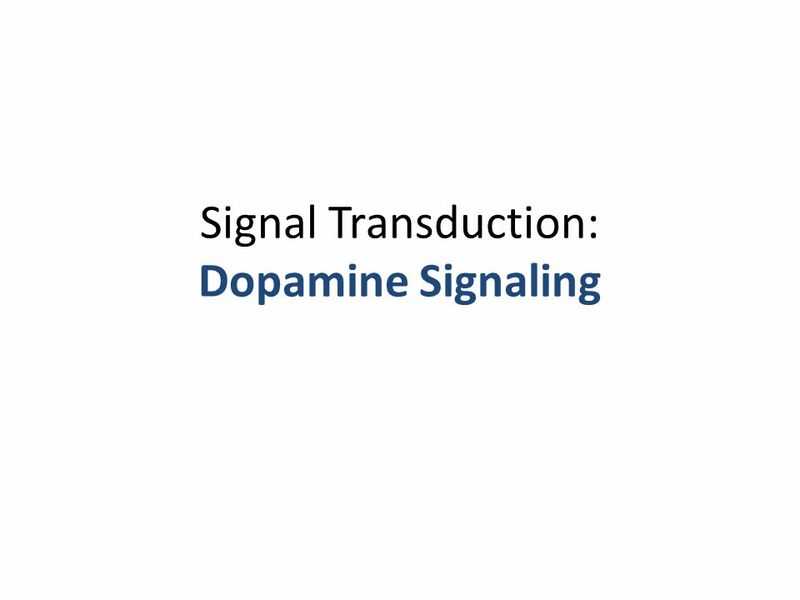 Download ppt "Signal Transduction: Dopamine Signaling. 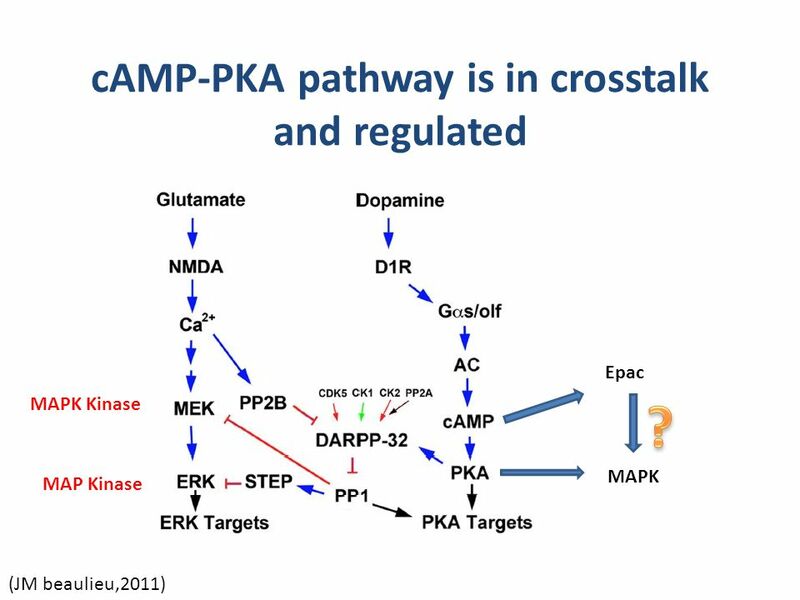 Outline Dopamine and dopamine receptors cAMP-PKA pathway PLC pathway Regulation of ion channel by dopamine Early." 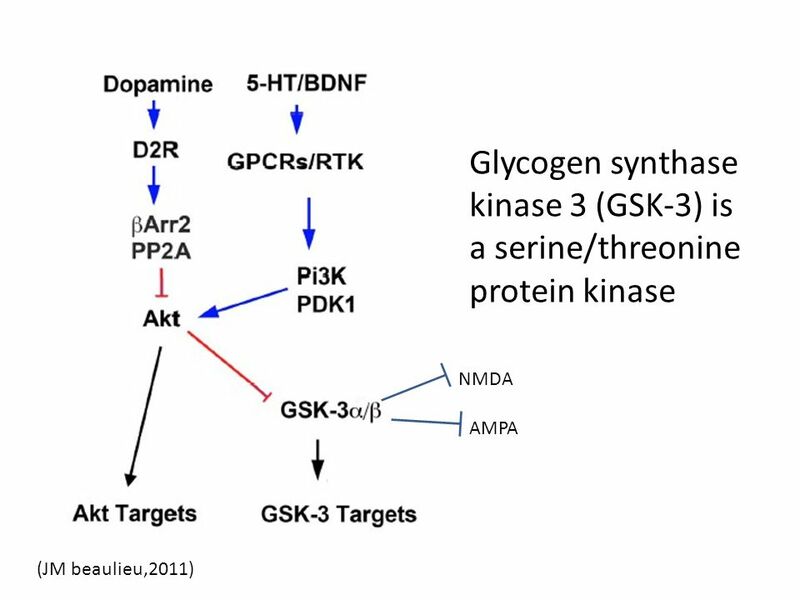 UW-M Cell Biology (Bio Sci 315) Cell Signaling & Signal Transduction Steroid hormones (also thyroid hormone) enter cells to regulate gene expression. Signal. 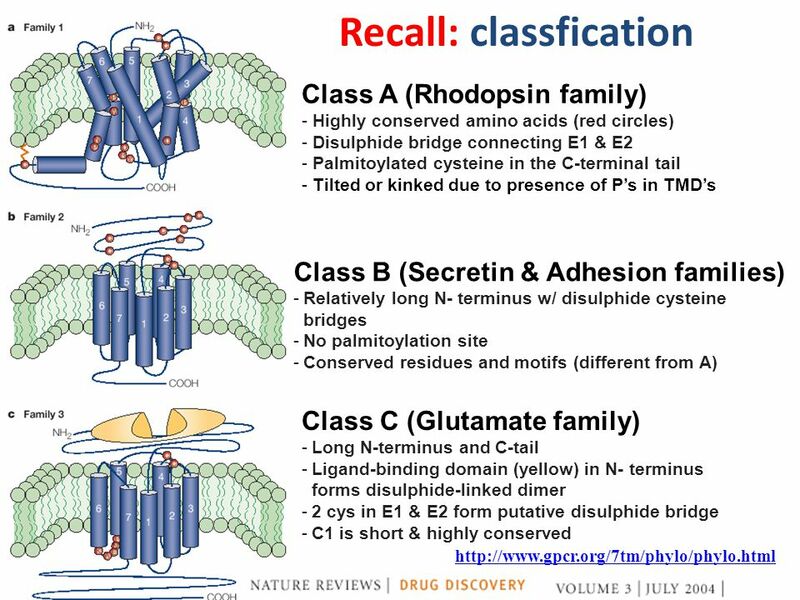 How drugs works: Molecular aspect. 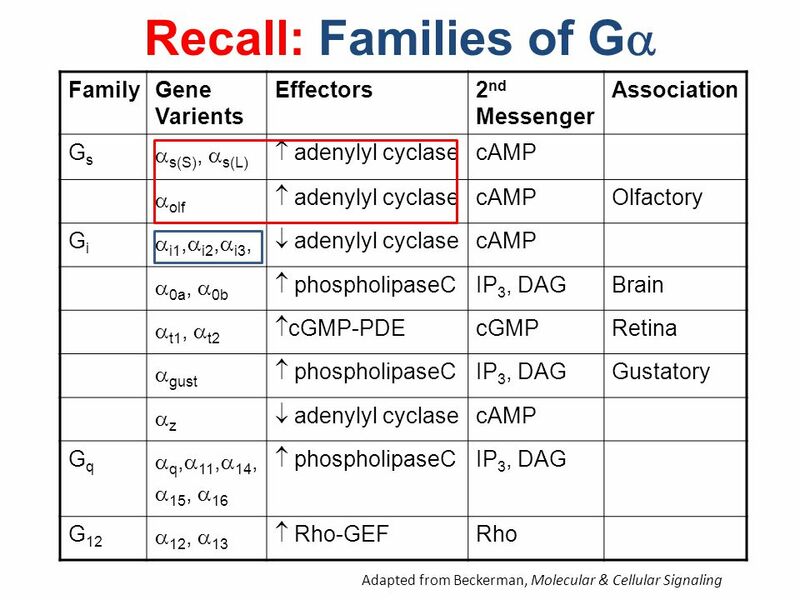 Objective/Learning outcome:  G-protein and role. 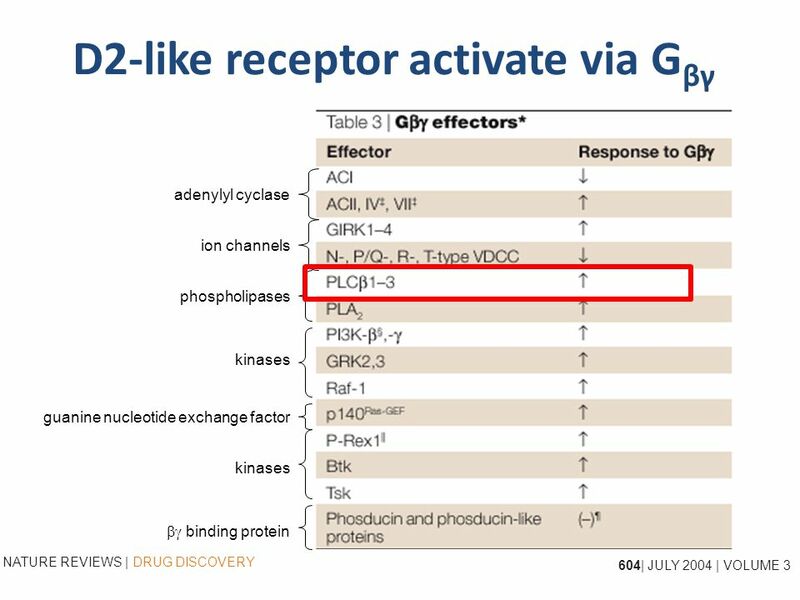  Targets for G-proteins. 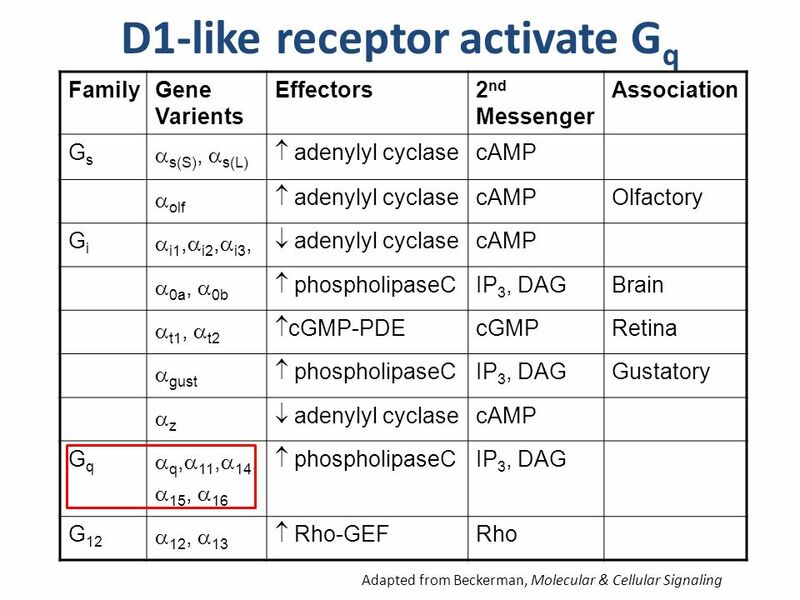  Signal transduction via second-messengers. 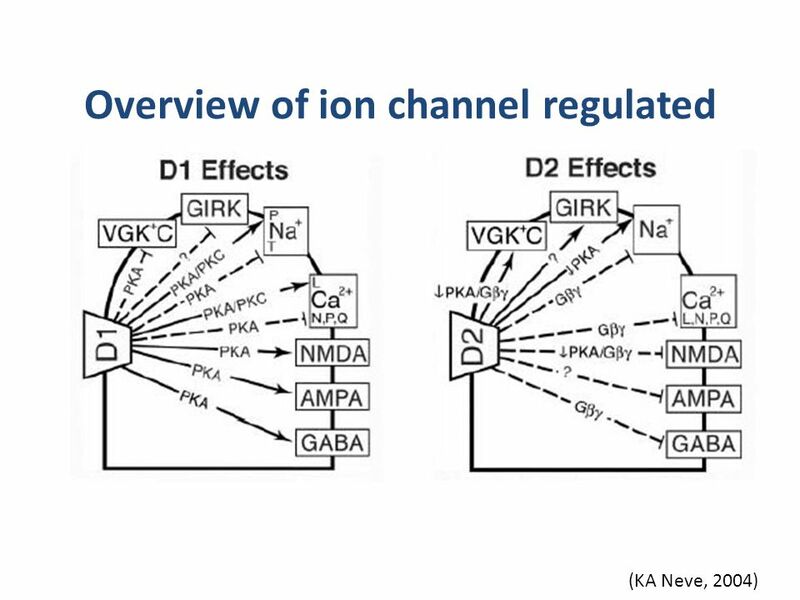 Ion Channels The plasma membrane is 6-8nm thick, and consists of a mosaic of lipids and proteins. 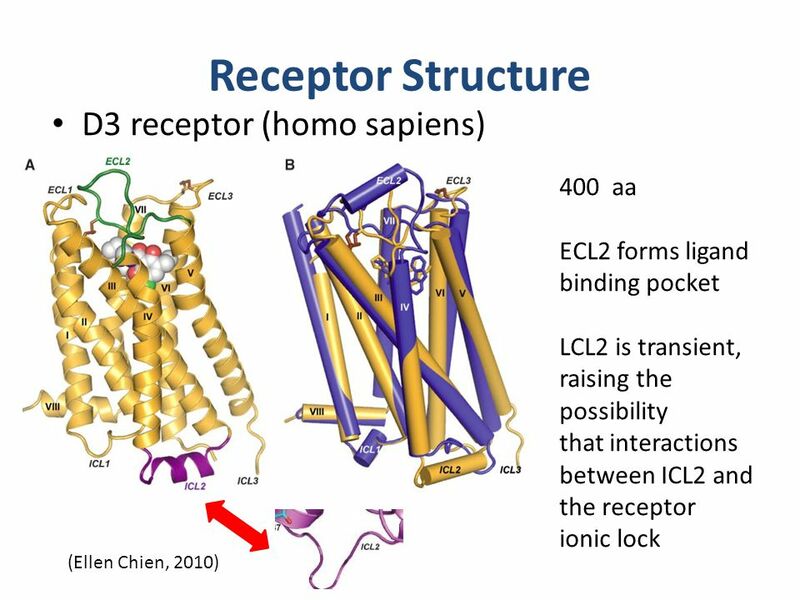 The lipid is hydrophobic, and will not allow ions through. 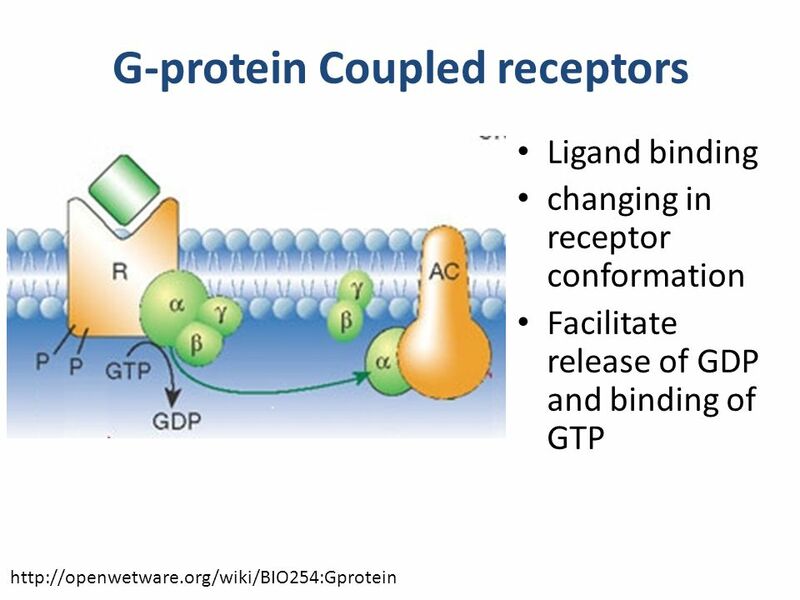 Last Class: A. Membrane Proteins and their functions 1. membrane proteins are mobile yet organized 2. carrier and channel proteins B. 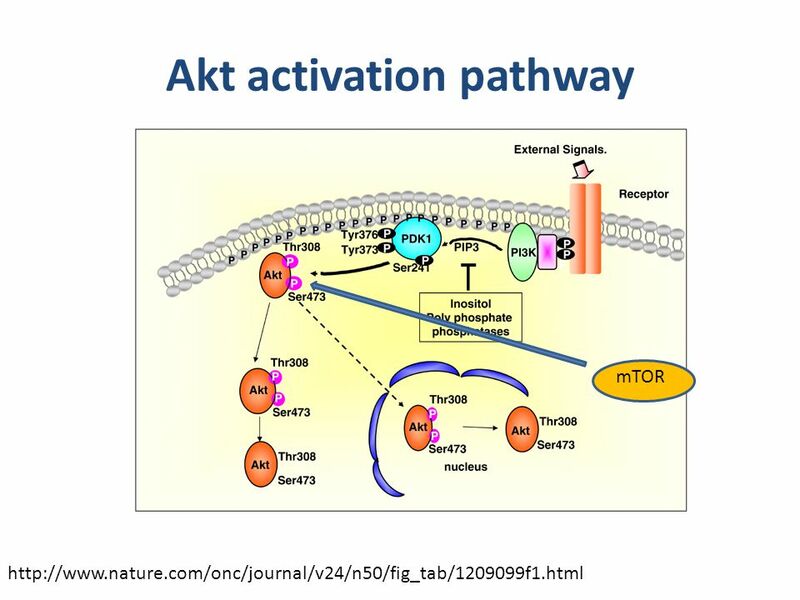 Signaling Transduction. 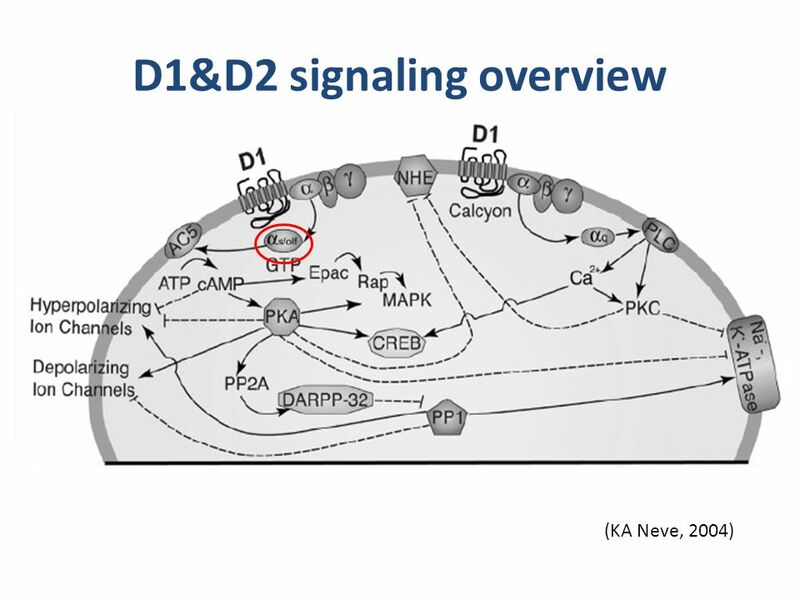 Signalling at Cell Surface 2 April Receptors. BBE/CNS 150 Lecture 13 Wednesday, October 29, 2014 Vision 1: Phototransduction and the Retina Bruce Cohen Kandel Chapter 26 1. 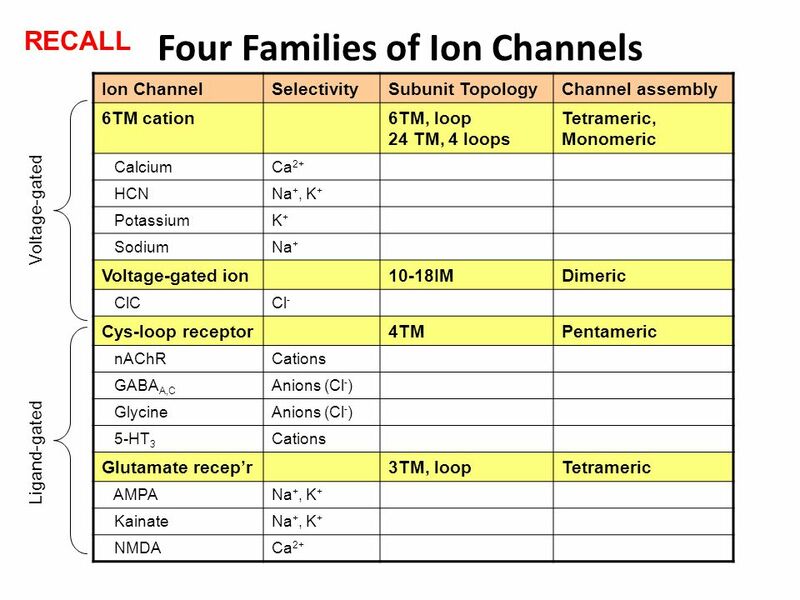 UNIT FIVE CHAPTER 9. 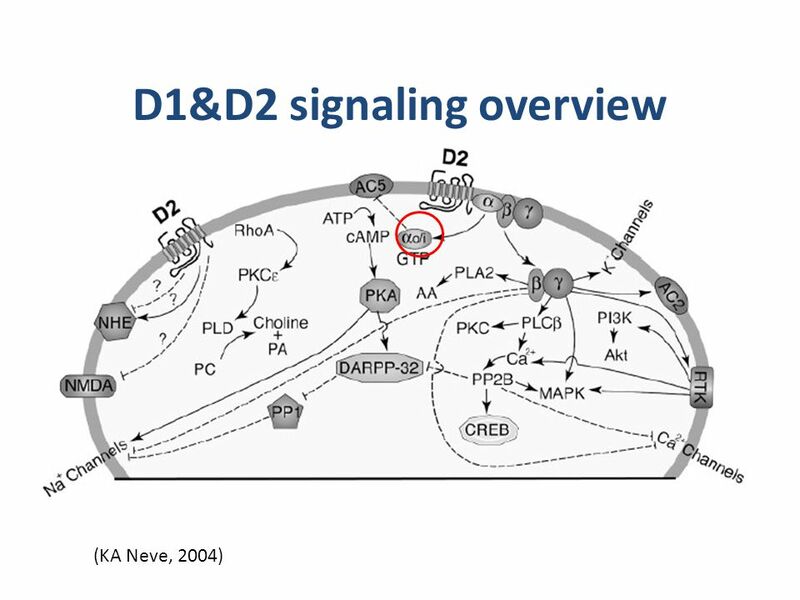 CELL COMMUNICATION CHAPTER 9. Manifestation of Novel Social Challenges of the European Union in the Teaching Material of Medical Biotechnology Master’s Programmes at the University. 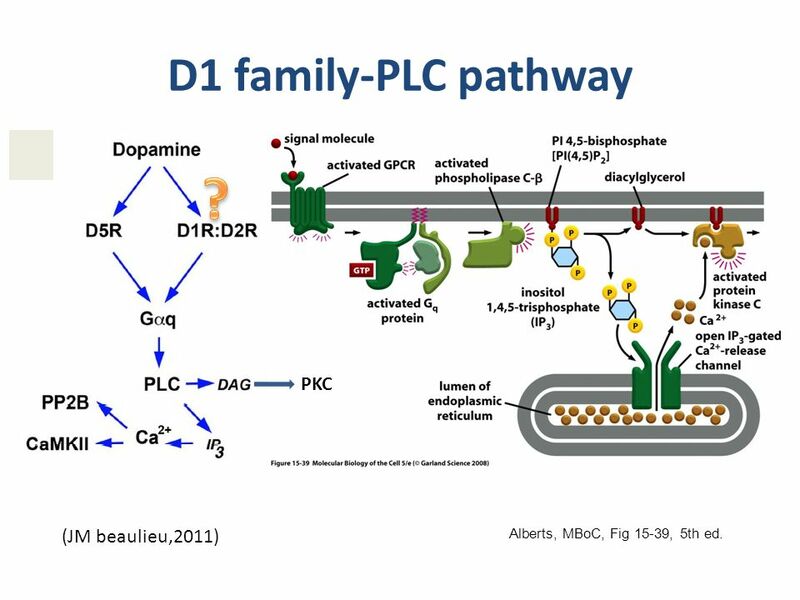 Monomeric GPCR as a Functional Unit Marc Chabre and Marc le Maire Presented by : Naveena Sivaram.